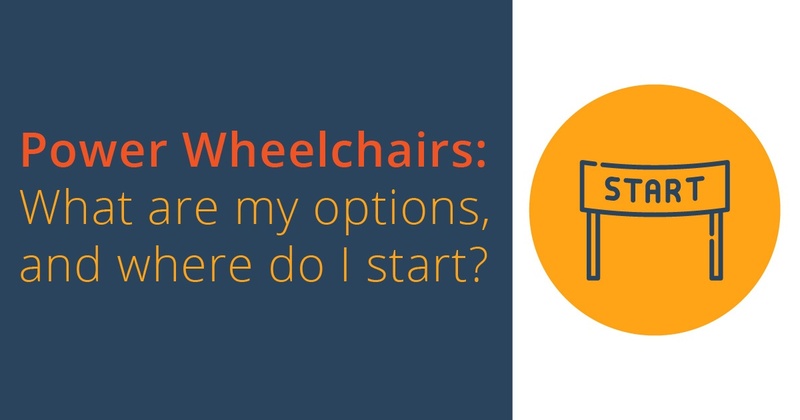 Power Wheelchairs: What are my options, and where do I start? Part 14 in our series A to Z Considerations for Seating & Wheeled Mobility: A Quick Reference Clarifying Confusion Around CRT. See Part 1, Part 2, Part 3, Part 4, Part 5, Part 6, Part 7, Part 8, Part 9, Part 10, Part 11, Part 12, and Part 13. Now that you have determined that your client needs a power wheelchair to optimize safety, function, sitting tolerance, and skin integrity, the next step is selecting the type of power wheelchair that is most appropriate for your client. While the options may seem a bit overwhelming and the process of how to attain each group of power chair ambiguous, do not fear! We will thoroughly explain these concepts over the next few weeks. First, you must consider the client’s diagnosis/diagnoses as this may limit your options. Then, be sure to discuss this with your ATP as you may find, via brainstorming, that if you combine the diagnoses/co-morbidities, the postural assessment, and the functional assessment, your client may be able to “climb the ladder.” Think back to my earlier post regarding the gentleman with COPD and CHF. 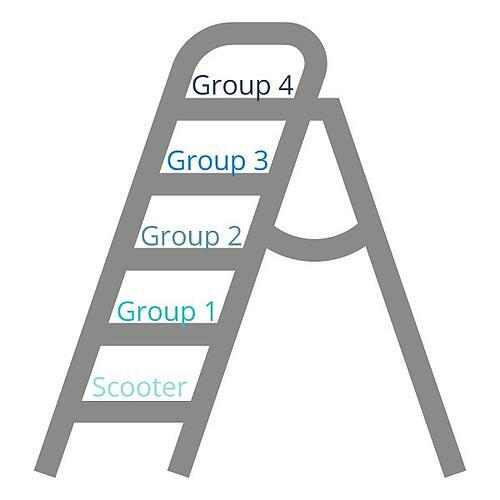 While he typically would not have qualified for a Group 3 power wheelchair, the combination of his diagnoses, functional assessment, and need for multi-power seat functions allowed us to demonstrate and justify the need for a higher level, Group 3 base. Remember, payers think in “black and white,” but we all know that the real world is full of “gray.” Think outside of the box! *TIP: Think long-term! When considering diagnosis, be sure to consider the prognosis. Perhaps the client can currently reposition herself and perform pressure reliefs adequately, but, what about in two-three years after her diagnosis has progressed? The chair SHOULD last the client for five years, at a minimum, according to Medicare; therefore, a Group 2 power chair may not be sufficient three years from now for someone with primary progressive Multiple Sclerosis. The means of drive control: Does the client have the upper extremity strength and motor control to safely operate tiller steering for a scooter? Or, will they require a joystick? 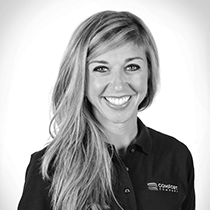 Can the client safely transfer on and off of a scooter? He must be able to either step up onto the base and slide into the seat by pivoting the body and the lower extremities around OR sit on an outside facing swivel seat then maneuver the entire seat and the body to a forward-facing position. Is the client able to maintain a safe, optimal, and functional posture in this type of seating system? Remember, the styles of seat available in this type of system offer essentially NO postural support. So, your client must be able to sit independently. Does your client have current pressure injuries OR a history of pressure injuries? There is NO skin protection component to the type of seating offered in a scooter/POV. Does the client have the seated balance to lean forward to reach the tiller steering? Can the client independently perform adequate pressure reliefs? Will the client be using this device for short periods of time only? Individuals often begin using a scooter when long distance ambulation becomes difficult, such as in the mall or grocery store. However, we know that, typically, insurance requires the use of a device WITHIN the home if it is going to be covered by a payer source. 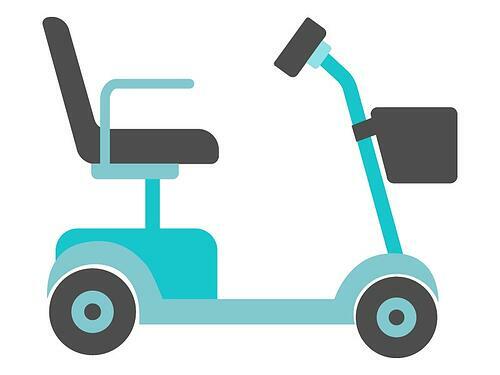 Can the patient’s home accommodate the wide turning radius of a scooter? *TIP: Most cannot! If you answered “no” to any of the above questions, this automatically moves you from a scooter to, at least, a Group 1 power wheelchair (and, as you will see in next week’s discussion, likely a Group 2). Join me next time as we discuss the Group 1 power wheelchair and whether this could be the appropriate mobility device for your client!